As is now tradition at Umpf, to celebrate the last 12 months of awe-inspiring social campaigns and stunts, we’ve compiled our Social Media Hall of Fame listing for 2013. The table, which follows last year’s inaugural round-up of stunts and campaigns, has been compiled following a year where brands – both big and small – have sought to embrace the power of video through Vine and Instagram. Forty-three of the world’s best social media campaigns from 2013 are highlighted below. The list is not ranked in any particular order, but these are case studies that, for one reason or another, have made us sit up and take note. Some of these case studies are award-winning; some are not. All of them, however, have challenged us and made us think a little differently about how we continue to evolve and develop our social media campaigns here at Umpf. French dance duo Daft Punk announced the track listing to their latest album ‘Random Access Memories’ via a six second Vine video earlier this year. Never ones to do things the ‘normal’ way, it’s hardly surprising Daft Punk chose to Vine this information rather than put it out through a boring old press release. I mean, who does that anymore, right? Three – Dancing Pony Who doesn’t remember Three’s Dancing Pony? This campaign marked the start of a series of successful animal-themed marketing campaigns this year (more of those, later). To coincide with their highly popular television advert, Three let users create their own, customised dancing pony videos online using the ‘PonyMixer’, which could then be shared through Twitter and Facebook. They’ve also recently re-hashed this idea for Christmas. Natwest – ‘Be Uniproof’ Natwest cleverly used Vine to engage with the latest group of soon-to-be freshers in a series of short videos offering tips on how to be financially savvy at university. The Vines – ranging from online banking tips to simple ways to save money – form part of a wider social media campaign by Natwest called ‘Be Uniproof’. Back in February KLM Royal Dutch Airlines launched the KLM Must See Map, a social media campaign which enabled tourists to create a personalised city map – with the bonus of a high quality printed version being posted out to participants for free. Each map is populated by tips from friends submitted across multiple social channels and email. This is achieved by first pulling a map for your chosen destination and then inviting friends to post tips via Facebook, Twitter or email. O2’s £10m ‘Be More Dog’ campaign stars a nonchalant cat looking to embrace its more active, ‘dog-like’ side. O2 said the campaign aimed to “spread positivity, excitement and inquisitiveness … to rid the UK of cynicism” by getting people to “embrace their inner dog”. The hashtag #bemoredog has been used in over 55,000 tweets. Honda asked Twitter users to tweet the reasons they hated their car using the hashtag #wantnewcar. The car giant then responded to individual gripes with entertaining videos posted to Vine and embedded in the company’s tweets. One Vine even featured ‘Friday’ singer, Rebecca Black. The live Twitter event in July generated nearly 7000 mentions and 36 Vine videos. Dunkin Donuts claimed a world first back in September for producing an advert entirely on Vine. The five second clip was created on the mobile and social video application in a bid to appeal to the younger target demographic, who regularly make use of the service. The Ashton Kutcher-starring biopic of Apple co-founder Steve Jobs broke new ground over summer with the first ever 15-second teaser on picture-oriented social networking app Instagram. We think it’s pretty fitting that the film, which depicts the life story of the legendary technical pioneer, was promoted via technology that was barely a month old at the time. Benefit Cosmetics #beautyboost Let’s be honest, January is the time of year where everyone feels a bit rubbish about themselves after piling on the pounds over the festive season. The clever folk at Benefit Cosmetics decided to help boost self-esteem throughout January with their ‘Beauty Boost’ campaign. 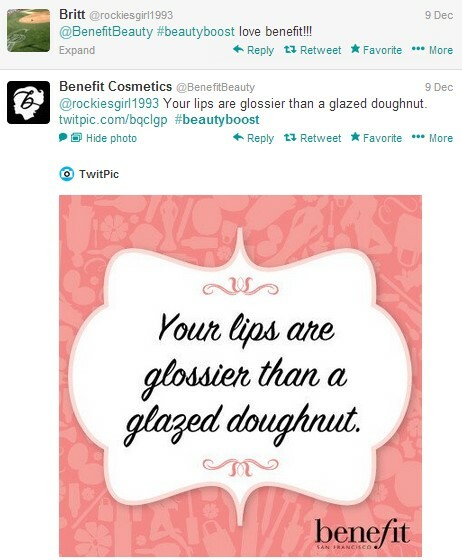 Through tweeting the hashtag #beautyboost, you would receive a tweet from the Benefit beauty team giving you a compliment – a fabulous example of simple, real-time engagement marketing. They’ve also recycled the idea for December. GreenPeace – #IceClimb In July this year Greenpeace protesters climbed to the summit of London’s Shard – the tallest building in Western Europe. Greenpeace created a website through which you could watch footage of the climb live. The website also collated all tweets with the hashtag #iceclimb, which was trending worldwide at the time. Lowe – Vine fix-it videos: DIY company Lowe embraced the power of Vine last spring by making truly useful 6 second home improvement video clips. The Vines include tips like how to remove a stripped screw, get rust off of knives and use pillowcases to organize sheets. With Vine being only 3 months old at the time of production, Lowe was one of the first brands to really get the hang of how to use the service to engage their target market in a meaningful way. Hats off to them! 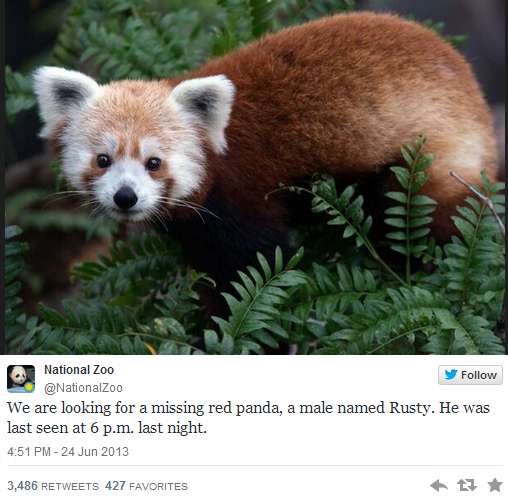 The Smithsonian National Zoo in Washington DC lost a red panda called Rusty in June, with the hunt for him turning into a huge social media event. Within a couple of hours #redpanda was trending on Twitter and as a result it took only 3 hours to track him down. As part of the marketing blitz ahead of the release of the long awaited Anchorman sequel, Paramount International urged fans to audition to ‘join Ron’s news crew’, by submitting an audition tape via the Anchorman tumblr account. For those who didn’t fancy submitting a video, there was the option to submit a gif or a meme instead. Spot on engagement marketing from a brand who clearly know the online haunts of their target audience. 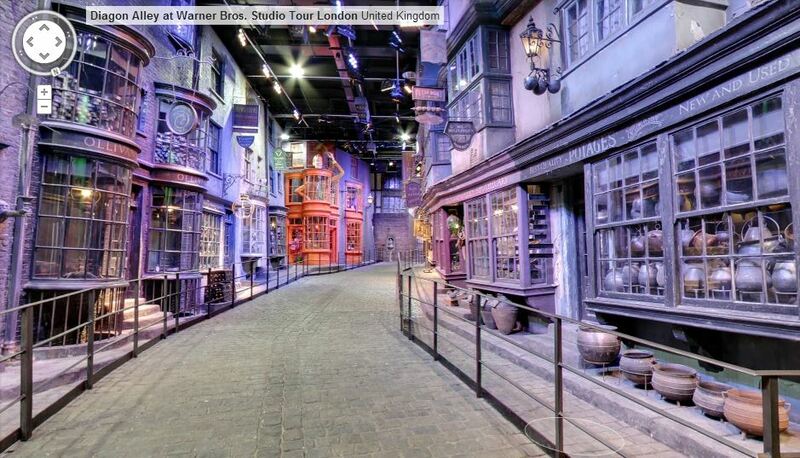 This year, the shops of Diagon Alley from Harry Potter were made available for all on Google Maps’ Street View, thanks to Warner Brothers Studio Tour. The Diagon Alley set brings to life the shop setting from J.K. Rowling’s legendary Harry Potter series of seven best-selling books, which grew into a successful eight-movie franchise during the noughties. 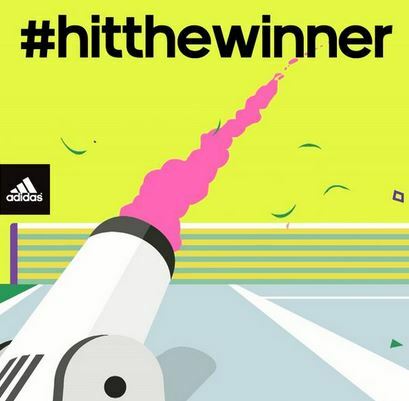 This summer sports brand adidas offered Andy Murray fans the chance to engage with Wimbledon and win signed Murray merchandise. The #hitthewinner campaign invited Twitter users to predict where Murray hit on his opponent’s side of the court to win a shot. Each side of the court was divided into nine equal squares and before each set fans were invited to tweet which square they thought the winning shot would hit. In a bid to raise awareness about Tourette Syndrome, thousands of Twitter users surrendered their Twitter feeds to a project called ‘Surrender Your Say’ back in June. During that time, a program posted auto tweets containing real-life verbal tics, sent to the foundation from people who have Tourette Syndrome. These could be anything from random sounds to illogical sentences. 8,905 people signed up to the project, reaching a total number 3,998,376 people. Pretty impressive! One Small Tweet was a 238,900 mile virtual voyage to the Moon, fueled by the tweets of people all around the world who used the hashtag #onesmalltweet in their Twitter messages. 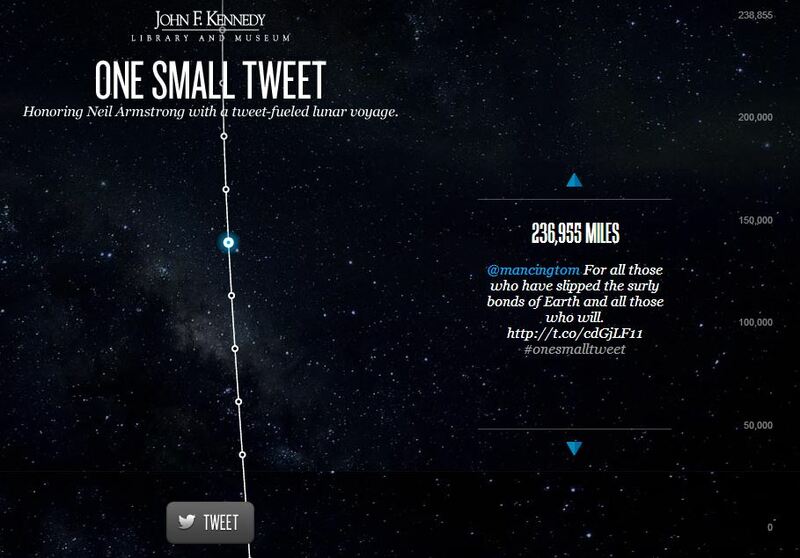 Each tweet was equal to 100 miles, paying homage to astronaut Neil Armstrong, who passed away in August 2012. The result? Thousands of small tweets adding up to one, giant tribute. Earlier this year, Richard Davies, a London-based web desigener (and frustrated gig goer) set up a Twitter account encouraging fans to exchange tickets for sold-out shows at face value. @Twickets quickly became one of the UK’s fastest-growing businesses after enabling 45,000 unwanted tickets to be sold. 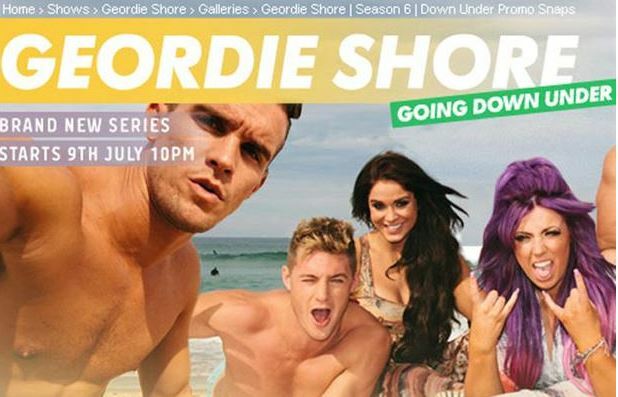 To promote the sixth season of Geordie Shore, MTV used time-limited photo and video-sharing app Snapchat. Exclusive photos and videos were sent out from MTV’s own Geordie Shore Snapchat account directly to fans’ smartphones. In the run up to the 2013 Formula One season, Sky Sports developed a Twitter algorithm that pushed out quick fire quiz questions to F1 fans for a chance to win tickets to the Melbourne GP 2014. Pretty smart thinking, really. By capitalising on the competitive nature of F1 sports fans Sky massively boosted their brand power, with their Twitter GP campaign having the honour of being the 2rd most retweeted UK campaign, ever. Train operator East Coast, which is currently featuring on a Sky 1 HD TV series, ‘All Aboard: East Coast Trains’, launched a social media campaign to support a recruitment drive around the show. A Facebook app was produced to raise awareness of key roles during the high profile TV exposure; allowing users to see which of the staff that appear on the show they are most like. 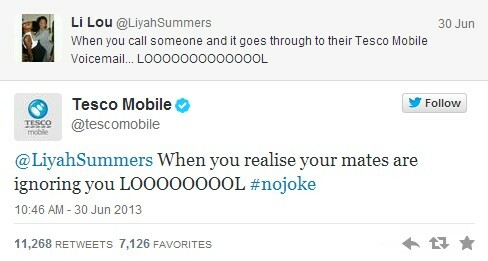 Part of the strategy to prove ‘there’s nothing funny about Tesco Mobile’, Tesco’s #nojoke tone of voice strategy proved to be a massive hit in the Twittersphere. With one tweet receiving over 11,000 retweets; we think Tesco are in prime position to become the new ‘O2’ of social media. Search the #firstworldproblems hashtag and you’ll see hundreds of Twitter users moaning about myriad trivial life afflictions such as not getting a reservation at that new restaurant or losing their brand new iPhone 5. Charity organization Water is Life set out to reverse this hashtag and, in turn, raise awareness about serious developing world issues with an online video that features Haitians reciting some of the tweets that included the #firstworldproblems hashtag. This online campaign showed a real life, high drama set-up caught on hidden cameras. Carlsberg put friendships to the test by placing volunteers’ unsuspecting friends in dramatic and nerve-wracking situations. Receiving a call in the middle of the night by their best friend who finds himself in a sticky situation during a game of poker, they’re asked to push themselves to the limit, all in the name of friendship. The video was shared over 12,000 times on Twitter and over 400,000 times on Facebook. Earlier this year, during the third quarter of Super Bowl XLVII, a power outage at the Superdome caused some of the lights to go out for 34 minutes. 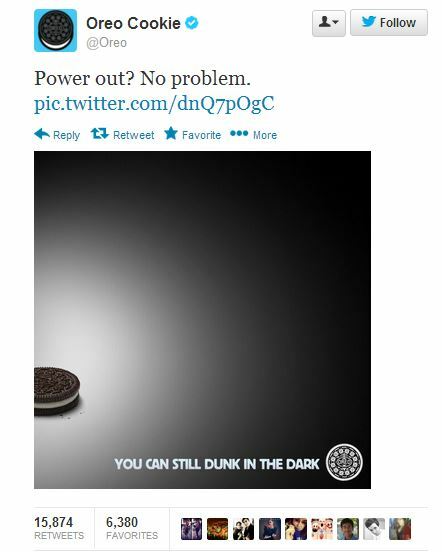 Oreo’s social media team put their own twist on the lights out scenario, tweeting an ad that read “Power Out? No problem” with the caption, “You can still dunk in the dark.” The message caught on almost immediately, getting more than 15,000 retweets. Evian’s ‘baby & me’ film generated 20 million views in two days and 100 million after 10 weeks globally. It sparked 334 viewer-created versions and more than 6.9 million viewers have shared the video on social networks. 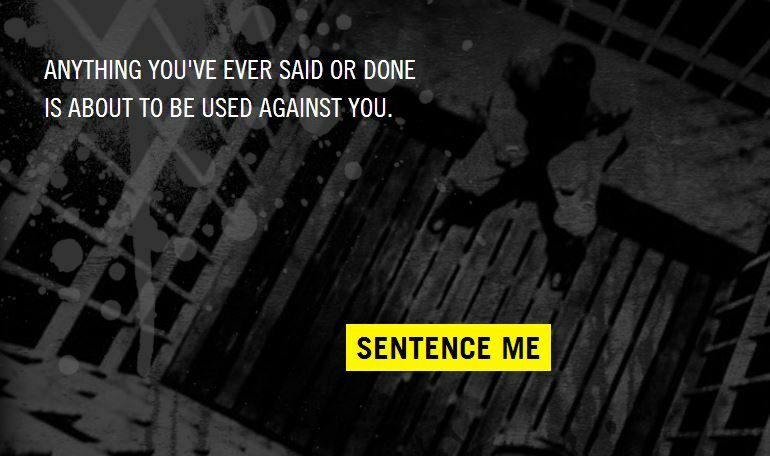 Amnesty International’s New Zealand office launched an app, Trial by Timeline, which uses Facebook information to determine the punishment the user would receive in various countries across the globe. Your age, relationship status, nationality, political views, group affiliations, and “likes” are all considered before sentencing is handed out at your virtual trial. The app now has more than 21,000 likes on Facebook. Over summer Coca Cola swapped its iconic logo on its bottles with 250 of the most popular names in Great Britain. Coke drinkers were then asked to share a picture of a bottle if they found one with their name with the hashtag #shareacoke. The initiative also involved a Facebook app which allowed users to share a personalised digital coke bottle with their loved ones. The Human Rights Campaign changed its logo to red to accompany real life demonstrations outside the Supreme Court on the eve of two historic marriage equality hearings. Millions of Facebook users adopted a red version of the HRC’s equal sign logo. The logo received more than 10 million impressions, 189,177 shares, 95,725 likes and appeared more than 18 million times in News Feeds. 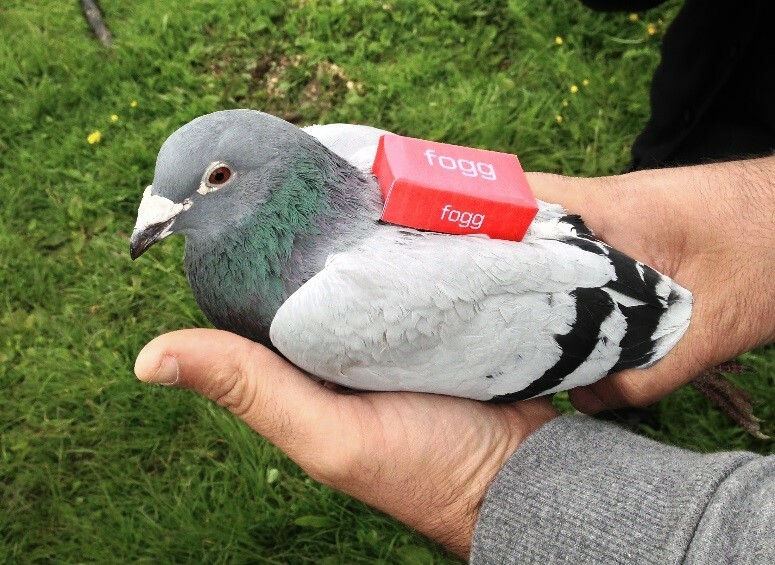 In yet another animal-related social stunt, Fogg chose pigeons Hans, Wilma, Jean Claude and Engeli — chosen from a pool of 20 pigeons for their great sense of direction and ability to fly over water – to be given their own Twitter accounts to microblog their way across Denmark, Germany, Belgium and Holland. The pigeons sent out tweets related to their location, and twitter users were able to select their favourite pigeon to carry one of their own messages, offering instructions as to which country the message should be released in. To highlight the challenging and sometimes dangerous nature of life at sea, the National Federation of Fishermen’s Organisations, used a veteran fisherman to live tweet a day on board his 10.5m trawler Valhalla off the coast of Plymouth – a simple way of raising awareness of the harsh realities of a sea fishing life to a digital audience. 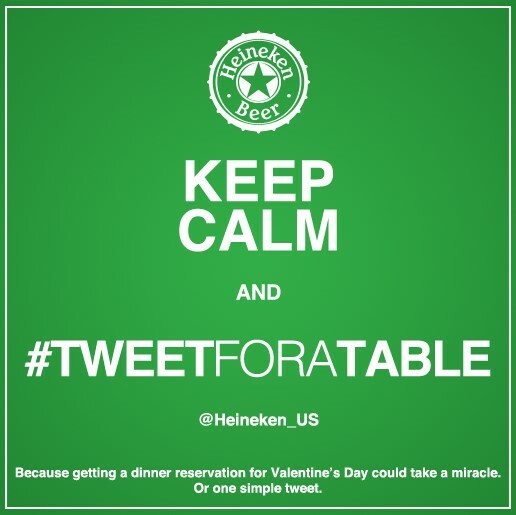 Now, this campaign couples two of our very favourite things here at Umpf – social media and food. 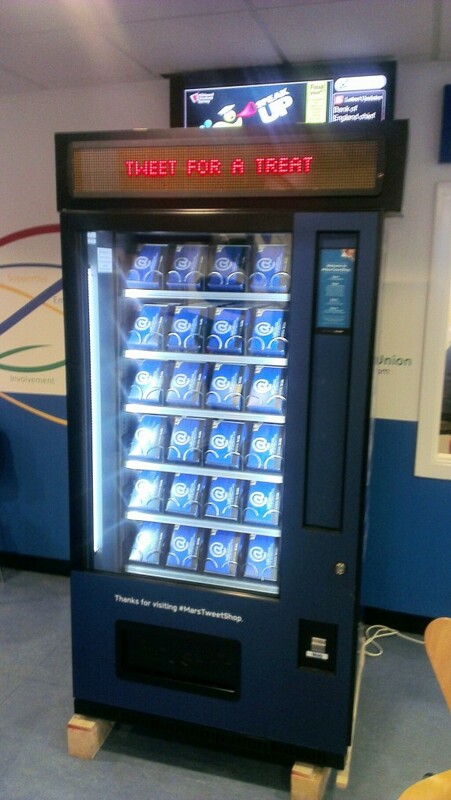 In February 2013 Mars took its Tweet activated vending machine on a tour of UK Universities. By using the hashtag #MarsTweetShop, students would receive a selection of sweet treats from the vending machine. The ‘Treats for Tweets’ campaign aimed to encourage students to engage with social media whilst encouraging them to think about potential rewarding career opportunities with Mars. Dove’s self-esteem boosting ‘Real Beauty Sketches’ campaign produced one of the most viral video adverts of all time. The short film used an FBI-trained sketch artist to draw women first based on their own self-perception and then based on that of a stranger. The stranger’s descriptions were more stereotypically attractive — supporting Dove’s point that women are their own worst beauty critics. 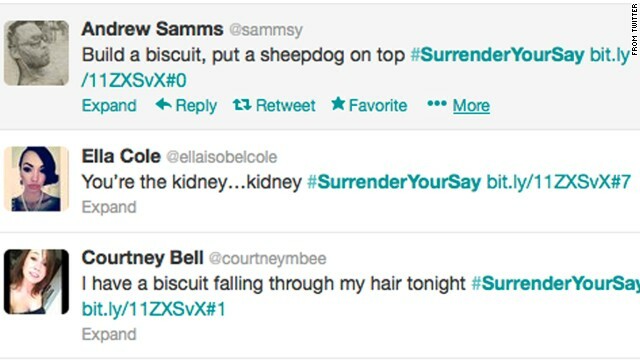 Throughout 2013, the teams working on public service Twitter accounts have really started to explore content that doesn’t just inform, but also engages and entertains. 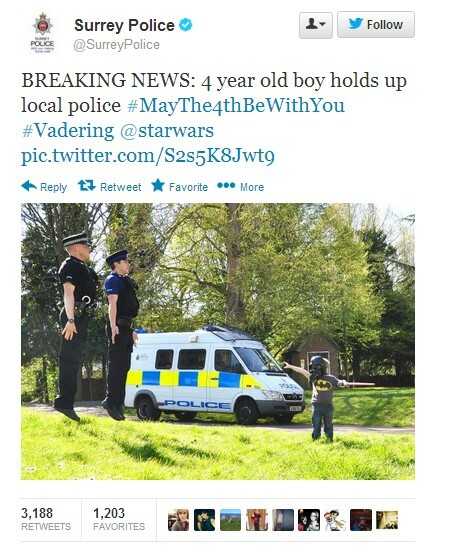 When Surrey Police posted this picture of a four year old boy holding up two police officers on May 4th, it quickly went viral. Cadbury’s Creme Eggs are (sadly) only around from January to March. This Facebook campaign aimed to drive enough noise to make consumers buy lots of them in a very short space of time. How to do this? Ask them to ‘have a fling’ with a Creme Egg, of course! CremeEgg Facebook 1920×1080 Mondelez from Elvis Communications on Vimeo. Earlier this year, a Twitter user tweeted an image of a letter that he claimed was from WeBuyAnyCar.com, stating that the company wouldn’t buy his child’s toy car and to stop wasting its time. 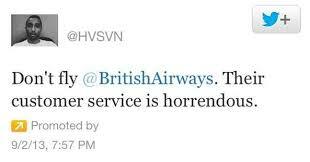 The tweet was retweeted over 31,000 times when it was picked up by the vehicle site – which responded brilliantly. Whilst not a campaign per se, this example shows how a ‘traditional brand’ is moving with the times and adopting a social media strategy. 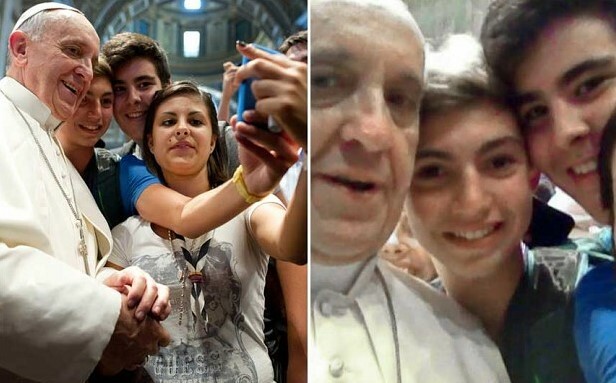 In August, a photo of the Pope posing with young fans at the Vatican went viral on social media, fuelling reports of the first ever “Papal selfie”. Visitors to the BBC Good Food Show in November were able to share festive greetings from Belling’s stand straight to Twitter and Facebook in a first for the foodie show. Belling created a special interactive Twitter mirror that could be used to snap Christmas-themed portraits on-stand, which could then be shared straight to visitors’ friends and family via Twitter and Facebook. Each visitor’s photograph featured a one-of-a-kind eight-foot-tall gingerbread house created by cake artist Connie Viney as its backdrop. Making complaints through Twitter is common practice for most social-savvy consumers, but Syed could have set a whole new trend by buying a promoted tweet slamming the brand. Over the summer Channel 4 launched a series of live, interactive sponsorships for Fosters around comedy game show ‘8 out of 10 Cats Does Countdown’. 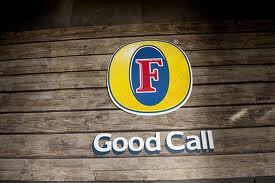 The bespoke sponsorships featured Foster’s campaign stars Brad and Dan sitting in front of a TV which shows a Fosters-styled anagram. The Channel 4 announcer invited viewers to give the letters “the old switcheroo” asking them to tweet the answer using the hashtag #goodcall when they worked it out. At the end of the break the broadcaster’s announcer named one lucky winner’s Twitter handle live on air. Patience you must have no longer – Star Wars joined Instagram this December, just squeezing into our 2013 round up. Two years ahead of the launch of Star Wars: Episode VII, the Instagram was launched with a post on the StarWars.com website. The very first image posted by the account, in true Instagram style, was a Darth Vader selfie – complete with #selfies and #GPOM (gratuitous picture of myself) hashtags. The profile already has more than 81,000 followers. Starbucks teamed up with Twitter to launch a promotion that allows Twitter users to tweet a gift certificate to friends. The recipient can then cash in the tweet for a free coffee. Once the sender has connected their Starbucks account with their Twitter account, they can send a tweet to @tweetacoffee adding “to”, followed by the @[name of the account they want to gift]. The recipient receives a $5 voucher (it’s only available in the US initially) via a tweet which can be redeemed by printing out the certificate or loading it to a Starbucks digital card.